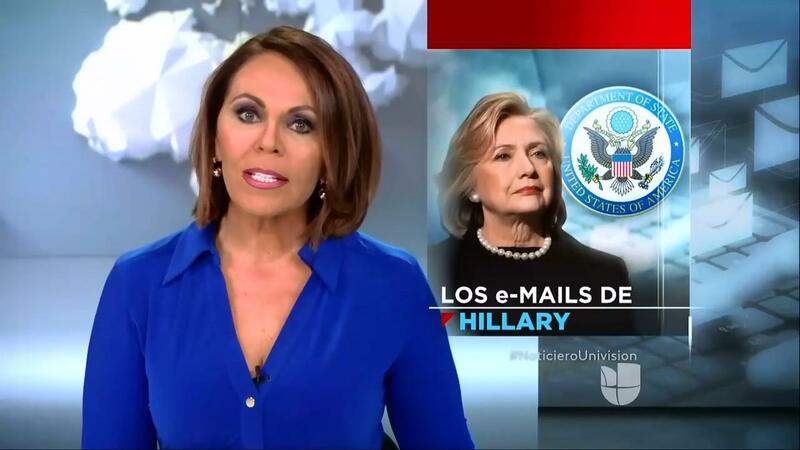 A federal judge’s latest adverse ruling against Hillary Clinton, along with the Democratic candidate’s most recent temper-tantrum on the campaign trail, went entirely uncovered on the nation’s top two Spanish-language television news programs. As a result of U.S. District Court Judge Royce Lamberth’s ruling, which explicitly referenced the “evidence of government wrong-doing and bad faith” involved in the case, several current and former U.S. State Department officials will be required to cooperate in the investigation of communications related to the deadly 2012 attack on the U.S. consulate in Benghazi. It was through Benghazi litigation that the Clinton email scandal was first uncovered. Other significant Clinton-related developments during the past week have also gone un-reported on the top national Spanish-language evening newscasts, including the State Department’s suspension of its internal investigation into Clinton emails as well as Clinton’s clashes with Sanders protesters at one of her campaign rallies. Univision and Telemundo’s counterparts at ABC, CBS and NBC have also been guilty of under-reporting recent adverse developments related to the Clinton campaign, though in the case of Clinton’s temper-tantrum with a Greenpeace activist only CBS failed to cover that incident.